Choose from a selection of 25 holiday rentals in Delnice. Use the search form to the left to filter the results and pick your choice of self catering accommodation in Delnice. We have a good selection of holiday apartments in Delnice perfect for family, single, romantic and group holidays. You may prefer to take a look at our listed holiday villas in Delnice or holiday apartments in Delnice. Find your holiday homes by a specific type using the property type drop down in the filter. Filter the holiday homes in Delnice by a specific area using the area list above. These three nice and functionally furnished holiday apartments CKB258, CKB259 and CKB260 are located in a family house in Delnice. In the courtyard is also a shared barbecue and terrace. 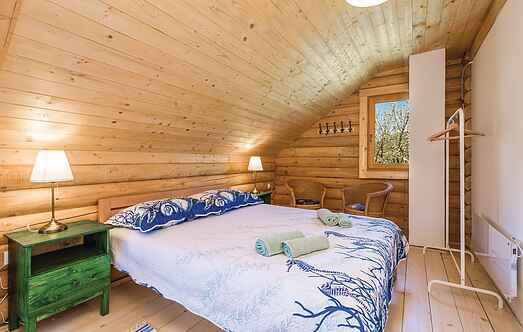 Close to the National Park Risnjak, in Malo selo, located this wooden house ideal for a holiday with family or friends. These two beautifully furnished wooden houses will provide a pleasant holiday in the greenery of Gorski Kotar, in the peace and quiet of the gorgeous forests. This nice holiday home is located at the river Kupa in the small village of Brod na Kupi. It is simply furnished with many details and in front of the house is a covered terrace. This charming holiday home is located in the heart of the Gorski Kotar a perfect place for nature lovers, who are looking for a relaxing holiday. This nice holiday apartment is located on the top floor of a family house in Delnice. There is a kitchen, living room, bedroom and bathroom. This small holiday home, as from a fairy tale, is located in Crni Lug in the region of Gorski Kotar. This holiday house, as from a fairy tale, is situated on the river Kupa in the small village Brod na Kupi. This cottage is located in the village Brod na Kupi. It has two bedrooms, living room with kitchen and a bathroom. The lowest ceiling height is 70cm.